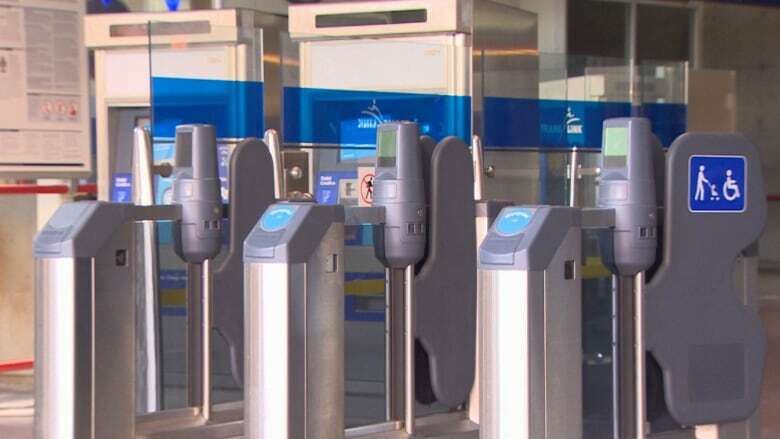 A man who advocates for those who can't tap in or out at SkyTrain stations with their Compass Card says the frustration over access continues. TransLink has yet to come up with a permanent solution for people with disabilities who can't use their hands, but Busch says even the temporary one doesn't seem to be working. The transit authority had said an attendant would be present to help or a gate would be left open for those who need it. Aaron Busch has filmed five videos since April 4 showing disability gates at various SkyTrain stations being closed with no attendant around to help. "There were instances as well where I went to certain stations like Surrey Central and Stadium Chinatown and the gates were closed with no attendants there. I didn't record anything on those days specifically but it's happening regularly," Busch said. He says he and others have been told by TransLink, if there's no attendant, they need to call one. "Some people are in a hurry. They don't want to have to wait," Busch said. He understands TransLink may want the gates closed to avoid fare evasion but says the way this is being handled is limiting specific people and violating their human rights. "This just adds one more barrier for people with disabilities who already live with physical barriers, and it's discriminatory for a large corporation to add that barrier onto a person who already has a lot of challenges, so it's frustrating." Jane Dyson with the Disability Alliance of B.C. believes in many cases the gate is left open at one end of the station but not the other. She questions how people are supposed to figure out which gate will be available to them. "Either way it's not good. Why should you have to go to a different entrance to the one that you want to use because you're a person with a disability. It really can't be that difficult to ensure or be well enough organized to ensure that there are staff at both entrances if the gates are closed." Dyson is still waiting for a permanent solution. Peter Fassbender, the B.C. minister responsible for TransLink says the expectation is that people with disabilities will have proper access. "Anything is possible if they set their mind to it. That is the expectation for TransLink. The CEO ensured me they would provide the unfettered access. Right now, at this moment, people should have unfettered access and people with disabilities, like all people, are in that category," said Fassbender. At a news conference Thursday, TransLink's new CEO said this is a transition phase. "This is a big change for our customers and it's a big change for our employees," Kevin Desmond said. "We are doing our best to reinforce with the field personnel that this is the procedure over the next few months. Longer term solutions, more permanent solutions, we're going to take these next few months to work with the support groups and the individuals to see what the best solution would be." Desmond says he too has been to stations where gates are closed and no attendant is around.